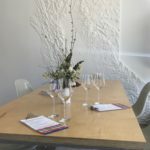 If you’re a fan of awesome wine and food pairings then you should clear your calendar for this year’s bASH 2018, coming to St. Helena on April 7 between 6 pm and 8:30 pm. This is much more than just a wine tasting event: it’s an annual showcase for this northern Napa Valley community in which over 30 premium wineries that are part of the Appellation St Helena organization join forces with local culinary talent to compete for your favor. 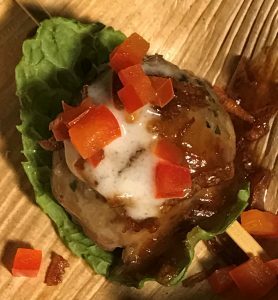 That’s right: if you attend the bASH 2018 event, you get to eat, drink AND judge. 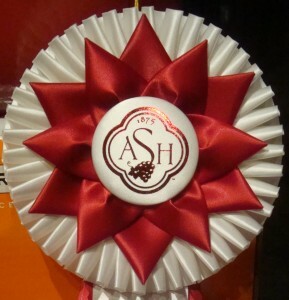 bASH 2018 will feature tastes of wines from wineries such as Anomaly Vineyards, Ballentine Vineyards, Benessere Vineyards, Calafia Cellars, Del Dotto Vineyards, Monticello Vineyards, Parry Cellars, Pellet Estate, St. Helena Winery, Stanton Vineyards, Taplin Cellars and Titus Vineyards served alongside delicious food offerings from participants such as Acacia House, Goose & Gander, Market and PRESS. 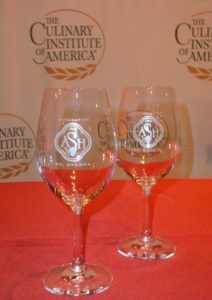 However, most of the food pairings at bASH 2018 will actually come from “Rising Star” students at the Culinary Institute of America who will be creating dishes from scratch specifically designed to complement the wine that they have been matched with. This makes your evening of wine sipping and food tasting a challenge as you keep trying to figure out which combination (and team) deserves your vote(s) the most. In fact, our favorite combination at last year’s bASH started with a dish prepared by CIA Student Chefs Jessica Haryanto and Chase Evans, a Deconstructed Wellington (Beef Tenderloin, Foie Gras Mousse, Prosciutto di Parma, Duxelles, Crispy Leeks, Perigord Black Truffle on Puff Pastry with a Cabernet Reduction) which was paired with a delightful Pellet Estate Cabernet Sauvignon. 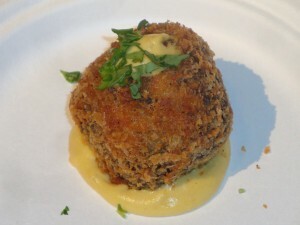 Three other excellent small bites from CIA Student Chefs last year were Coconut Milk Red Snapper Ceviche, Smoked Hanger Steak with a Cabernet Sauvignon Gastrique, and Lemongrass Lamb Kofta. 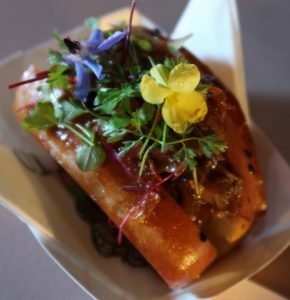 The St. Helena appellation is well known for its Cabernet Sauvignon and you’re bound to find many outstanding food pairings with that varietal at bASH 2018 on April 7th. However, we’ve also enjoyed dishes paired with wines made from Chenin Blanc, Sauvignon Blanc, Sangiovese, Merlot, Malbec, Cabernet Franc, Petit Verdot, Petite Sirah and Zinfandel grapes at past competitions so you never really know what you’ll find. Attendees will enjoy this lovely extravaganza in the historic Barrel Room of The Culinary Institute of America at Greystone (2555 Main Street, St. Helena). 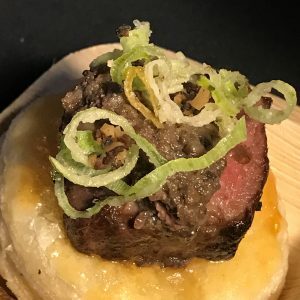 Tickets for bASH 2018 are $150 each and that’s a pretty good price for what is practically a 30-course Chef’s Tasting Menu with wine pairings for each course. You can purchase tickets here but you should probably move quickly because it’s expected to sell out (like it did last year). 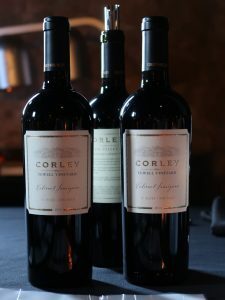 Also, when you buy a ticket you will be automatically entered into a drawing for an Appellation St. Helena “Instant Wine Cellar” where each of three winners will receive a case of wine collected from participating wineries at the event. The drawing takes place at the end of the evening and no, you don’t need to be present to win (but it’s more fun if you hang around and hear who won the evening’s judging). Appellation St. Helena is a non-profit organization dedicated to encouraging and promoting the highest quality standards in grape growing and wine making in the St. Helena American Viticultural Area (AVA), and to gain recognition for this quality through education of the membership and the public. The official AVA was approved in 1995, with its boundaries in Napa Valley defined by Bale Lane to the north, Zinfandel Lane to the South, the intersection of Howell Mountain and Conn Valley Road to the east, and the 400 ft. elevation line marking the west. If you aren’t already familiar with the appellation, you can go here to see our advice for St. Helena travel, including suggestions for restaurants and lodging. Then, you can come to bASH 2018 on April 7 and find your own favorite wines (and wineries) from the region.